Students must be in full uniform upon entering homeroom, and they must remain so for the entire school day. Students who are out of uniform as determined by the administrator will be assigned detention and/or phone calls home. The administration may refuse to allow a student to attend classes until the student is in uniform. In these cases, the parent or guardian of the student may be called to either bring in the needed uniform attire or to bring the student home to change. 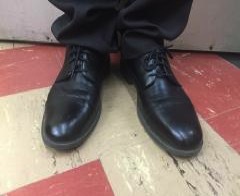 Students may lose the privilege of participating in dress-down days. Students need to be aware that when they are in full uniform, they must act in a respectful and appropriate manner, whether it is during school hours or while in the community. 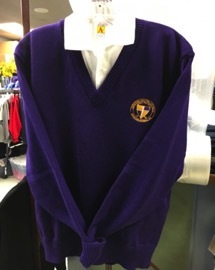 Students need to take pride in the wearing of their school uniform and the school that they represent. 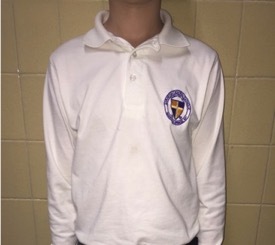 Shirt – All students must wear the official dress code white polo shirt with the purple school logo from Student Styles (long sleeve or short sleeve). 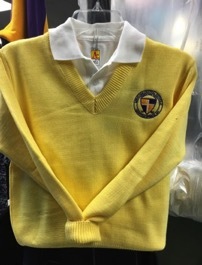 Students are not allowed to wear any other polo shirt. The shirt must be tucked into the trousers or skirt at all times. Male students must wear either a solid white or light gray t-shirt under the official school polo. 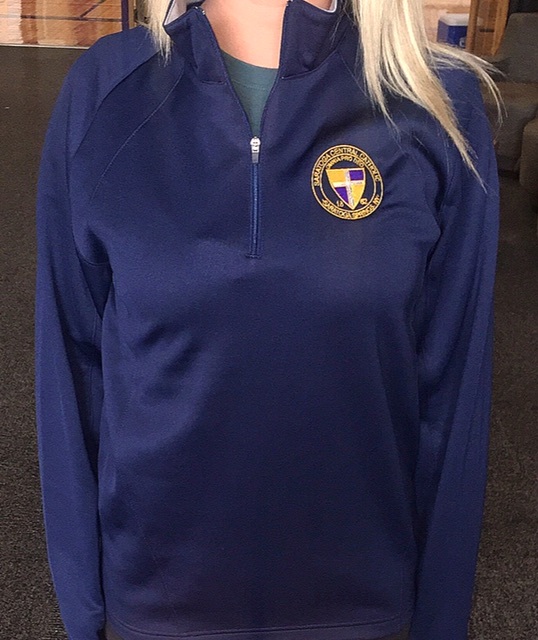 Female students may wear either a solid white or light gray camisole or t-shirt under the official school polo. 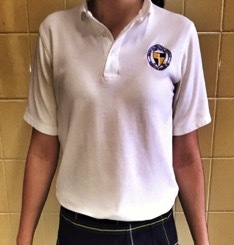 Pants/Skirt – Student Style has one style of navy blue plaid skirt for SCCHS. No other styles are to be worn. Skirts must be no shorter than a credit card length above the knee. Grey pants are purchased through Student Styles. Flat front as well as pleated styles are available. Girls and Boys may both wear pants. No other pants are to be worn. 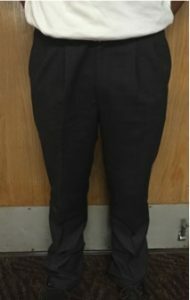 Belt -Black web belts from Student Styles must be worn with pants at all times. No other color or style of belt are to be permitted. 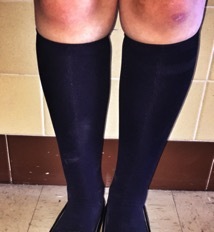 Socks – Girl’s must wear knee high navy blue socks or navy blue tights. Tights may not be ripped or patterned. Boys may wear any color socks. Shoes – Shoes are to be all black, including any logos. Open toe, sandals, flip flops or boots are not permitted. Jewelry – Extreme or excessive jewelry (i.e., facial rings, nose piercings, body piercing, etc.) will not be allowed. Hair – Hair must be neat and clean. No extreme hair styles or colors will be allowed. Headwear – No head wear of any kind may be worn during the school day. 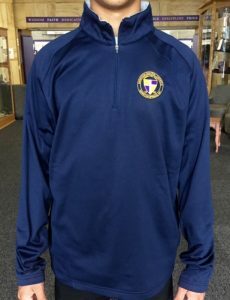 Below you will find images of what is acceptable for Saratoga Central Catholic’s Dress Code and what is not appropriate. 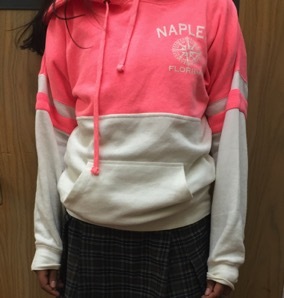 Wearing any other type of sweatshirt or sweater during the school day is not allowed. 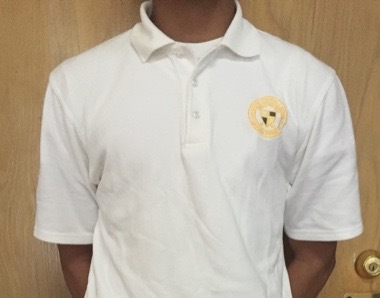 All students must wear the official dress code white polo shirt with the purple school logo from Student Styles (long sleeve or short sleeve). 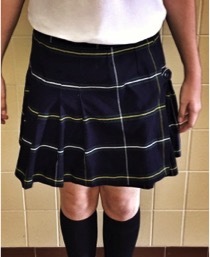 Student Style has one style of navy blue plaid skirt for SCCHS.. There is one style skirt. No other styles are to be worn. Skirts must be no shorter than a credit card length above the knee. 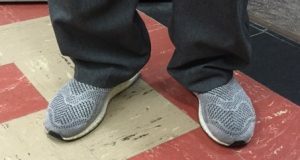 Grey pants are purchased through Student Styles. 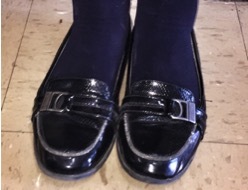 Flat front as well as pleated styles are available. Girls and Boys may both wear pants. No other pants are to be worn. Girl’s must wear knee high navy blue socks or navy blue tights. Tights may not be ripped or patterned. Shoes are to be all black, including any logos. Open toe, sandals, flip flops or boots are not permitted.